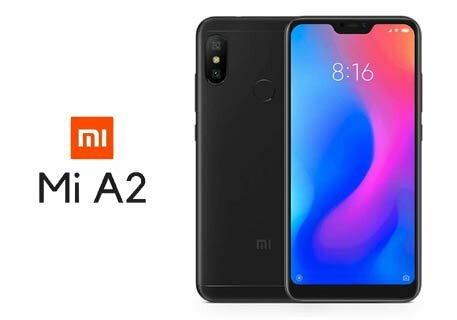 After the huge success of the Mi A1 (Android One Smartphone), Xiaomi launched its new Android One smartphone Xiaomi Mi A2 for the year 2018. In the given price it has quite impressive features like 5.99 inches FHD+ Display, Android One (Oreo) OS, Snapdragon 660 processor, Dual 12+20 MP Primary | 20 MP secondary camera, 32/64/128 GB Internal | 256GB SD card support | 4/6 GB RAM and 3000 mAh battery. They have taken the camera feature to another level in this budget. There is 20MP + 12MP Dual camera setup with a Large ƒ/1.75 aperture that takes crisp photographs even in low light conditions. A 20MP Front camera featuring AI Beautify 4.0 technology that smartly optimizes the colour balance in pictures and takes impressive selfies. It also has a quite powerful Qualcomm Snapdragon 660 processor with 14nm FinFET technology that exhibits high performance even for heavy multitasking and consumes less power. This chipset has Adreno 512 high-performance GPU generates life-like visuals for the HD gaming. The phone has well-optimized OS and Android One phones have the latest AI-powered innovations from Google built in. You can feel the smoothness in performance while jumping from one app to another. Mi A2 is powered by the 3000 mAh battery but the Android One OS along with power efficient Snapdragon 660 processor based on 14nm technology and 4 GB RAM capable of retaining the power juice for a full day under mediocre use. Premium built quality with sharp and vibrant Display. Smooth experience with Android One (No Bloatware). It supports FM radio and Infrared. Primary dual 20+12MP camera captures super quality pictures. No Slot for external SD card. There is no 3.5 mm headphone jack. No LED flashlight for the front camera. The phone isn't water resistant. In such a big phone only 3000 mAh battery inside.